Our managing office is based in midtown Manhattan and our main billboard depot, printing and fabrication facilities are in northeast New Jersey. We are known as a one stop shop for outdoor advertising exposure. Billboards2Go.com can be a valuable partner to help you get your message in front of the people who need to see it. Our high-quality equipment will project a professional image that shows you mean business! We can be your “secret weapon” in your arsenal of advertising sales tools. 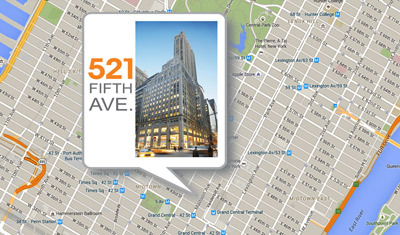 Although we have an office in midtown Manhattan, we don’t charge fancy Manhattan prices. Along with our nationally competitive media rates you will have a premium service representing you. With a growing fleet that consists of many new units, your advertisement will be run on the biggest and best looking equipment in the industry. 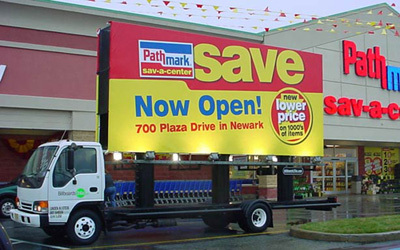 Only our billboard trucks use our exclusive patent-pending “elevating technology” that enables the large billboard signs to rise up to 18 feet off the ground. With our high-resolution full-color banner printing (along with optional 2-D and 3-D production capabilities) your mobile billboard ad will look fantastic and attract a lot of eye-balls. 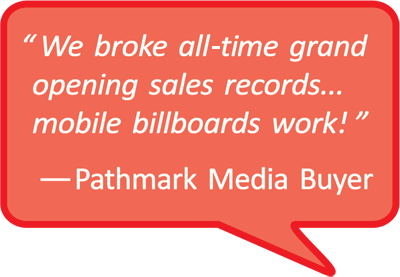 By utilizing our unique billboard media, our clients have achieved significant increases with their branding efforts, product sales, and consumer recognition goals. NOTE: WE DO NOT SUBSCRIBE to a Jack-of-all-trades approach – we concentrate on one media format, and after 18 years in mobile, we are considered top experts in our field. We don’t have bicycles pulling signs, we don’t spray paint the sidewalks with logos or project movies on the sides of buildings. But what we do (and do very well) is exposing our clients’ ads in their desired key markets with our huge awe-inspiring mobile billboards. And, throughout the entire process we strive for total commitment to customer satisfaction. To see additional photos of our mobile billboards in action, please visit the gallery page.